It's pretty obvious that I haven't posted anything for quite some time. 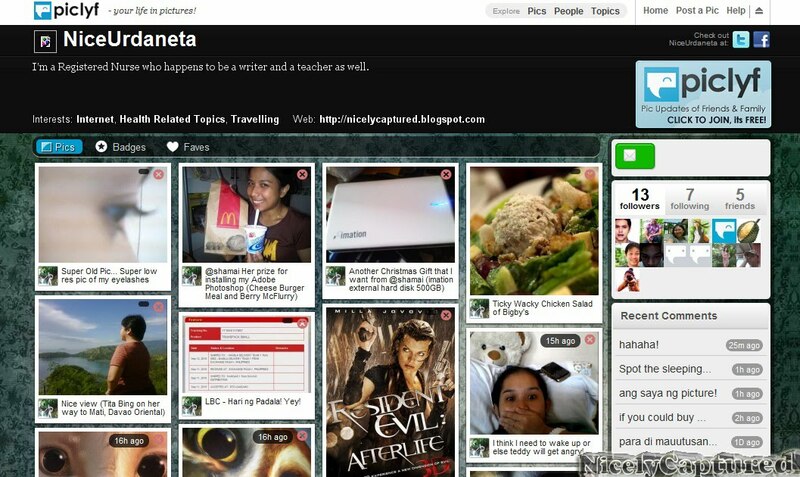 It's not that I haven't captured any nice pictures lately but I've been hooked to a newly discovered photo sharing site called Piclyf. Most of my recently captured pictures were uploaded in my Piclyf profile. The photo sharing site allows you to link your uploaded pictures to your social networking sites such Facebook, Twitter as well as Flickr and Plurk. Badges are being given too and users are being ranked. Taking pictures nowadays has become a hobby to a lot of people especially that fine cameras already exists. Capturing moments in your life could be very rewarding in the future. You can never turn back time as they say but you can always look back through your nicely captured pictures.